a) He Who is not proud. b) He Who does not mistakenly identify things such as the body with Atman. c) He Who is beyond all measure in all respects. a) The nAma is derived from the root mAn - pUjAyAm - to honor, to worship.mAna means garva (pride), ahamkAra (the feeling of "I"), etc. - garvoabhimAno ahmakArah (amara koSam 1.7.22). The word a-mAnI means One Who has nogarva or ahamkAra (na mAno garvo yasya aiti amAnah). He is unconcerned aboutbeing respected by others - Atma-sammAna bhAva rahitah (SrI satyadevo vAsishTha),even though He is the prabhu Who is worshipped by the likes of brahma. SrIbhaTTar gives the example of bhagavAn undertaking to be a messenger for thepANDava-s, even though He had to face indignities in the process. His being thecharioteer for arjuna is another example of the same guNa of bhagavAn. For thegood of the world, He does not hesitate to take incarnations even as a Boar, aFish, a Form with the face of a Lion, etc. "He became the messenger to the pANDava kings, and let Himself bereferred to as "so-and-so's messenger", even though He is the SupremeLord". "He shamelessly took the Form of a varAha, with a dirty body and waterdripping all over, just for the sake of retrieving bhU devi who was lying underthe Ocean with fungus growing all over Her..". nammAzhvAr refers to Him as "nADuDai mannarkkut tUdu Sel nambi" intiruvAimozhi 6.6.4.
b) SrI Sa'nkara's interpretation is that He is called a-mAnI because He hasno mistaken notions of Atman in things that are not Atman - anAtma vastushuAtmAbhimAno na asti asya iti a-mAnI. c) SrI satyadevo vAsishTha gives an additional interpretation using the rootmA - mAne - to measure, to compare with, and gives the meaaning "One Whocannot be measured (with regard to strength, power, or any of the otherauspicious qualities)". The sense conveyed here is that bhagavAn is a-prameya- Beyond the scope of definition. a) He Who honors others. d) He Who gives spiritual enlightenment to His devotees. e) He Who gives a measure and dimension to everything in the Universe. The same root that was used in the last nAma applies for the current nAma aswell. a) SrI bhaTTar's interpretation is that BhagavAn is called mAna-dah becauseHe always honors His devotees. He gives the instances of Lord kRshNa's honoringarjuna by making him the master of the chariot, making ugrasena the Ruler andbeing his vassel, and making yudhisthira the king and respecting him - arjunaugrasena yudhisthirAdibhyo rathitva, Adhi-rAjya , bahumAnam dattavAn mAna-dah. There are numerous other instances where bhagavAn has exhibited His guNa ofbeing a mAna-dah. His being born as a son to daSaratha, vasudeva, etc., are allexamples where He bestows honor on these great devotees of His. The last interpretation of SrI Sa'nkara is that He has this nAma because Hedestroys the wrong notions of Atman in earnest seekers - tattva-vidAm anAtmasumAnam AtmAbhimAnam dyati khaNDayati iti vA mAna-dah. d) SrI kRshNa datta bhAradvAj uses the meaning "citta samunnati" or"elevation of mind" to the word mAna, and thus interprets the nAma asmeaning that He gives spiritual enlightenment to His devotees, and so He ismAna-dah - mAnam citta-samunnatim dadAti iti mAna-dah (mAnaS-citta samunnatih -qamara koSam). e) SrI satyadevo vAsishTha uses the meaning "parimANam" or measureto the word mAnam, and gives the interpretation that the nAma means "OneWho gives dimension to everything. SrI vAsishTha uses both the roots dad - dAne- to give, and dau - avakhaNDane - to cut, to divide, in his interpretation ofthe nAma simultaneously, and points out that bhagavAn has this nAma because Heestablishes a definition of everything in this universe by both the principlesof attraction and repulsion (AkarshaNam and vikarshaNam) to achieve thisfunction of giving dimension to everything (mAna-dah) - mAna dadAti AkarshaNena,mAna dyati khaNDayati vikarshaNena. He gives the example of the various planets having their shapes, orbits,etc., only because of this function of bhagavAn as mAna-dah. He also points outthat the very shape of the body, with its different parts, is because of Hisgiving dimension and definition to all these, and thus His guNa of mAna-dah isreflected in everything we see. SrI vAsishTha-s anubhavam of the nAma goesfurther, and he points out that because bhagavAn has thus given the definitionand dimension to everything, He has shown us the principle of the airplanesthrough the birds that fly, the principle of the ship etc., through thecreatures that navigate in water, etc. Water quenching fire, and fireevaporating away water, are all instances of His giving dimension and definitionto these elements, such that everything works together in unison. Drawing from the thoughts conveyed by the dharma cakram writer, the lesson totake from this nAma is that just as bhagavAn gives respect to His devotees, weshould learn to give respect to Him and to His devotees, and to devote ourenergy to Atma vishayam, and not waste our life and time by giving respect tothings that do not deserve true respect, such as a-dharma, injustice, etc. 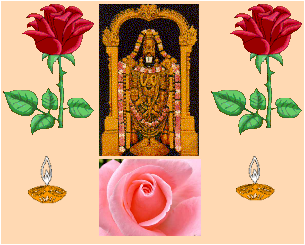 This nAma again has the same root as the previous two nAma –s: mAn –pUjAyAm – to honor, to worship. mAnayitum yogyo mAnyah pUjanIyah iti mAnyah– He Who is fit to be worshipped or honored is mAnyah. “na sAratheh sAttvata kauravANAm kruddhasya mucyeta raNe’dya kaScit”- “In the battle of kurukshetra today, no sAttvata or kaurava is going toescape death because the Charioteer of arjuna is angry”. SrI v.v. rAmAnujanrefers us to nammAzhvAr’s periya tiruvantAdi 53, where AzhvAr points to thisguNa of bhagavAn: un aDiyArkku en Seivan enrE irutti nI – You are constantlythinking of the good that You can do to Your devotees. sarvaih mAnanIyah pUjanIyah sarveSvaratvAt iti mAnyah. ISAvAsyam idam sarvam yat kim ca jagatyAm jagat (ISAvAsya upanishad - mantra1). He is the Lord, Creator and Protector of everything. SrI cinmayAnanda refers us to another work of SrI Sa’nkara, viveka cUDAmaNi,where Sa’nkara uses the term mAnyah to refer to those blessed souls whohave been able to realize the Supreme Being – dhanyah sa mAnyo bhuvi.If the people who have realized the Supreme Being are mAnyah orworshippable, what words can be used to describe the worship-worthiness of theSupreme Being Himself! It is noted again that SrI bhaTTar’s anubhavam of the nAma-s are primarilyoriented towards enjoying bhagavAn’s guNa-s as being subservient to thewelfare of His devotees, and SrI Samkara’s vyAkhyAnam is primarily orientedtowards bringing out His parattvam and Supreme Rulership. SrI SAstri reminds us of the idea conveyed by the three nAma-s, a-mAnI,mAna-dah, and mAnyah: bhagavAn does not show Himself as One Who deserves to besupremely respected and honored (a-mAnI), He ensures that His devotees arerespected (mAna-dah), and this is where all His feeling of respectability lies (mAnyah). The dharma cakram writer observes that even though bhagavAn is mAnyah(To be worshipped), it is only His true devotees who realize this, and it is tothose that He gives the ability to overcome the lower desires, and realize Him. 2. mAyA ramA upalakshita jIva rASeh anyo bhinna iti mAnyah. Both of these support the elements of their philosophy that are given above. Itis worth nothing that both SrI Sa’nakara and SrI bhaTTar chose to use only theroot mAn as the basis for their interpretation of the nAma, and gave the meaningto the nAma as “He Who is worthy of worship”, while the dvaita interpreterchose to see the nAma as mA + anyah. The Master of the Universe. One meaning for the word svam is aiSvaryam. The amara koSavyAkhyAnam for svAmI is svam aiSvaryam asya asti iti svAmI. There is apANini sUtra, svAmin aiSvarye (5.2.126), which equates the word svAminwith aiSvaryam. The affix Amin after the word sva comes inthe sense of lordship. aiSvaryam refers to sovereignty, Lordship, power,wealth, etc. Thus, one interpretation for the nAma is: He is called loka-svAmIbecause He is the Lord of the Universe. The thread in SrI bhaTTar’s vyAkhyAnam is worth revisiting for the fullenjoyment of his vyAkhyAnam. BhagavAn is called amAnI (nAma 753) becauseHe is not proud of any of His possessions or guNa-s, He is mAna-dah (nAma754) because He honors His devotees, and he is mAnyah (nAma 755) becauseHe considers Himself worthy of respect because of His special relationship ofaffection to His devotees. Now we come to His nAma – loka-svAmI (nAma 756) –The Master of the Universe. In what sense? According to SrI bhaTTar, it is notbecause of His superior power or wealth or parattvam, but because He isthe Master in simplicity, based on the previous three nAma-s, and so He isloka-svAmI in soulabhayam. This anubhavam of bhagavAn as living for thedevotees and acting for the devotees, is the crowning aspect of SrI bhaTTar’sbhAshyam, which can be seen throughout the vyAkhyAnam. His interpretation forthe current nAma is: he is loka-svAmI because He is a-mAnI, mAna-dah, and mAnyahas explained above – ka evam karmakarah? loka-svAmI. kunRam onRAl mazhai kAtta pirAnai…. The important point here that bhagavAn is not only superior because of His parattvam,but more so because He is unique and excels everyone in His soulabhyam byHis own choice; He behaves and sees Himself as another human being, even thoughin every sense He retains His parattvam in His human incarnations – ahammAnusham manye. SrI Sa’nkara’s vyAkhyAnam is that He is loka-svAmI because He is the Lordof the fourteen worlds, the seven worlds above and the seven worlds below –caturdaSAnAm lokAnAm IsvaratvAt loka-svAmI. SrI rAdhAkRshNa SAstri gives support from the kaushItakI Upanishad – eshalokAdhipatih (3.9). SrI cinmayAnanda comments that He is loka-svAmI in the sense that He is theCreator, Controller, Director, the Lord and the Governor of allfields-of-experience of all creatures, at all times, everywhere; He is theConsciousness that illumines matter. SrI vAsishTha gives an alternate interpretation, based on “One Who haslokam or the Universe as His svam or aiSvaryam”. Adding the affix Amin to theword loka-svam, he derives the meaning for the nAma as “The Lord Who has theUniverse as His wealth”. a) He Who supports the three worlds (the worlds above, the worlds below, andearth in the middle). a) SrI bhaTTar’s interpretation is that He is One Who has the burden ofresponsibility for the support and nourishment of the entire Universe, and so Heis called tri-loka-dhRt – aSeshANAmapi dhAraNa poshakayoh bhArakatvAtloka-svAmI (the root involved is dhR – dhAraNe – to hold, to bear, tosupport). Because He created us, therefore He necessarily has the burden ofresponsibility for supporting us, just like the responsibility of a father tohis children. SrI Sa’nkara bhAshyam is: trIn-lokAn dhArayati iti tri-loka-dhRt – TheSupporter of the three worlds. b) In addition to the meaning “world” for the word “loka”, SrIcinmayAnanda also gives an alternate interpretation where he takes tri-loka tomean the three states of waking, dream and deep sleep. He then gives theinterpretation that bhagavAn has this nAma because He is the Supporter, in theform of Consciousness, of the three states of experience, since without thekindling support of life in the bosom, it would be impossible for us to have anyexperience. tir-loka-dRg-iti dhArakatayA pAlakatayASca tri-lokIm dharjati gacchati iti tasyasvAbhAviko’yam dharmah – It is His dharma to sustain this universe and keepit going by supporting and protecting all the creatures of the three worlds.Here he uses the root dhRj – gatau – to go, to move, as the root for thisexplanation. SrI satya sandha yatirAja gives the interpretation – tri-lokAndyu pRthivi antarikshAn dharati iti tri-loka-dhRk, where the root dhR –dhAraNe – to hold (dharati) is used. Without getting into intricate grammatical rules, it is difficult todistinguish between the two versions. However, it is to be noted that SrI Sa’nkaraand SrI bhaTTar have explained the nAma using the version tri--loka-dhRt, andSrI satya sandha yatirAja has explained the nAma as tri-loka-dhRk. medhA means memory or intellect. su is a prefix or an upasargawhich means “superior”. So the nAma means “One Who has a Superiorintellect or memory”. The different interpretations involve differentanubhavam-s of what “good intellect” means. a) SrI bhaTTar’s anubhavam is that His buddhi is su-medhA or “Superiorbuddhi”, because He constantly thinks of the good of His devotees – ArAdhakasu-sAdhu buddhih su-medhAh. SrI kRshNa datta bhAradvAj gives the derivation – SobhanA medhA dhAraNavatIdhIh asya iti su-medhAh, which also conveys the above idea. SrI Sa’nkara bhAshyam is “SobhanA medhA pra~jnA asya iti su-medhAh – Heof bright intelligence. SrI rAdhakRshNa SAstri elaborates that “superior intellect” consists inanticipating future events or outcomes, not being disturbed or impacted bysurrounding events, etc. SrI cinmAyananda points out that when applied to us, the term su-medhA canrefer to the ability of the self to realize its true nature, something that isnot new information, but that has been temporarily forgotten by us. So heinterprets the nAma as meaning “Divine memory Power”. SrI satyadevo vAsishTha gives the meaning to medhA as “the intellect thatgives protection or support”, and explains the nAma as referring to the memoryof bhagavAn that is always aware of everything that is going on everywhere, aswell as events associated with all beings – past, present, and future. Hecomments that the intellect of each of us is directly proportional to the extentto which we are able perceive the medhA of bhagavAn. The dharma cakram writer explains medhA as that power which enables us tounderstand and realize “That which is the biggest of the big and the smallestof the small”. All of us have this power potentially, and can realize it oncewe know how to control our thought, word and deed and realize the potentialpower that we have in us. a) He Who was born as a result of a sacrifice. b) He Who is realized as a result of sacrifices. c) He Who makes His presence in the gatherings of bhakta-s.
“O Revered Lady! You praised Me before, desirous of having Me as Yourson. Your prayers have been fruitful today since I have taken birth out of your womb”. and made a promise to you (that I would be born as your son). That has beencarried out now”. SrI v.v. rAmAnujan gives other instances where bhagavAn has taken birth asthe child of devotees, as a result of their yAga, vrata, etc. He was born in Hisincarnation of vAmana as aditi’s son as a result of her payo-vratam; it iswell-known that Lord rAma was born as a son to daSaratha as a result of theputra kAmeshTi yAgam; yaSodA and nandagopan had Lord kRshNa as their son becauseof their tapas. SrI rAdhAkRshNa SAstri gives the additional instances of LordvaradarAja, Who manifested Himself from the sacrificial fire of brahmA in kA’nci. b) SrI cinmayAnanda comments that because bhagavAn makes His appearance inevery yaj~na in His pure Form, we can say that He is born in yaj~na. Based onthe gItA, he gives the definition for yaj~na as a co-operative endeavor whereinwe offer our capacity into a field of chosen work invoking in it theunmanifested Lord, who pours His blessings in terms of profit”. In this sense,when all the personality layers are offered in an act of total surrender, thespiritual experience of the Self is born. Thus bhagavAn is the result of themedha or sacrifice (medha-jah), and to the student of vedAnta, the term is richin its suggestiveness. The dharma cakram writer describes the five types of yaj~na-s that each of usshould be observing, and indicates that the realization of the Self is a resultof observing these pa’nca mahA yaj~na-s, and this is the significance of thisnAma for us. In other words, He becomes accessible and available to us as aresult of our observing the pa’nca mahA yaj~na-s (medha-jah). The pa’ncamahA yaj~na-s are: bhUta yaj~na, pitR yaj~na, nara yaj~na, Rshi yaj~na, and devayaj~na. These have been described before, under nAma-s 449 and 682. He Who makes His presence in the gatherings of bhakta-s. The word dhanam refers to wealth. The amara koSa vyAkhyAnam is “dhanadharma sAdhuh dhanyah” – One Who excels in wealth and dharma is dhanyah. BypANini sUtra “dhana gaNam labdhA” (4.4.84), the addition of the yat pratyayato dhana gives the meaning to this nAma as: “One who obtains dhana or wealth”. What wealth does bhagavAn have to attain, that He does not have? SrI bhaTTar’sanubhavam is that He considered being born to devaki as the wealth that Hecoveted. Since He got His desired wealth by being born to devaki, now He isdhanyah – tad-janma dhana lAbhAt dhanyah. SrI v. v. rAmAnujan’s anubhavam is that since bhagavAn is One Who does nothave birth normally, this is a great blessing for Him! (I am reminded of an article that I recently received from a friend of mine.In this moving article, the well-known Sri candra sekhara sarasvati (theprevious AcArya of kA’nci Sa’nkara maTham), feels intensely sorry that hisposition as the sanyAsi and head of his Asrama had permanently deprived him ofthe privilege of prostrating at the feet of elders right from a very young age,since he became the head of the maTham when he was probably less than 10. So hefeels intensely for his situation, that falling at the feet of elders andprostrating was a bhAgyam that he was permanently deprived of in his lifebecause of his position). SrI Sa’nkara bhAshyam is that since every wish of bhagavAn is fulfilled, Heis dhanyah – kRtArtho dhanyah – He is self-satisfied, and so He is Blessed. SrI kRshNa datta bhAradvAj uses the amaram “sukRti puNyavAn dhanyah”, andgives the interpretation that BhagavAn accepts the sincere offerings in the formof flowers etc., and constantly keeps thinking of their welfare; This is sukRtamand puNya kAryam, and so He is dhanyah – sukRtI or puNyavAn. The dharma cakram writer dwells on the lesson to take from the nAma, as heinvariably does for all the nAma-s. In common use, the word dhanyah refers to“one who is benefiting from the good karma-s in his previous birth” (dhanyo’smi– I am blessed). The antima smRti is a determinant of the next birth. In orderto have good antima smRti, one should train oneself throughout one’s life tobe involved in good deeds, thoughts and words. This is what will make one adhanyah in the future births. This is the lesson to take from the conceptsbehind this nAma. a) He of true thoughts – honest, straightforward. b) He of true knowledge – with foresight and minuteness. c) He of true knowledge – of the Vedas and their numerous branches. “If you have real love for me and think that I am worthy of praise fromyou, then you must think of me as you think of yourselves (i.e., you must thinkof me as a gopa, as you all are). I am neither a god, nor a gandharva, neither ayaksha (a demi-god), nor a dAnava (demon). I am a born relative to you all. Youmust not think of me any other way”. I consider myself as a human being, and the son of daSaratha. b) SrI Sa’nkara vyAkhyAnam is that He is of unfailing intelligence –satyA avitathA medhA yasya iti satya medhAh. SrI rAdhAkRshNa SAstri commentsthat true knowledge (satya medhA) consists of the ability to foresee things andto see the inner aspects of things (nuN aRivu), so that there are noobstructions caused because of unanticipated or overlooked aspects of thingsduring execution of any action. If one’s knowledge is useful in times of needwith these attributes, then any action undertaken by this person will be boundto succeed. Since bhagavAn is One Who is equipped with such knowledge, He iscalled satya-medhAh. c) SrI ananta kRshNa SAstry gives the interpretation that because bhagavAnhas the true knowledge of the veda-s and their numerous branches, He has thenAma satya-medhAh. d) SrI satyadevo vAsishTha gives yet another anubhavam for the nAma –because bhagavAn has the unfailing knowledge that keeps all the multifariouscreations right from the beginning of the kalpa to the end with their properperspectives, He is called satya-medhAh. The dharma cakram writer observes that because bhagavAn unfailingly bestowstrue knowledge on those who follow the path of dharma, and thereby gives them amind that is directed towards realization of Him, therefore He is calledsatya-medhAh. So the lesson for us from this nAma is that we should follow theunfailing path of dharma so that we will bestowed with true knowledge. a) He Who supported the Mountain (govardhana). b) He Who supports the earth. The word dhara means mountain, and the word dharA refers to earth. So thenAma can be viewed as dhara + Adharah, dharA + dharah, dharA + Adharah, etc. Thedifferent vyAkhyAna kartA-s come up with their interpretations depending onwhich combination they choose. “The cowpen with all the cows and cowherds should be protected by me now. Ishall by force uproot this mountain with big boulders at once and hold it overtheir heads as a big umbrella and save them all (from this distress)”. - Eleven pASurams of periyAzhvAr tirumozhi (3-5) are all dedicated to thegovardhana incident. b) SrI Sa’nkara’s interpretation uses the meaning dharA – earth. dharAmdhaArayan dharAdharah. He Who supports all the earths through His amSa-s such as Adi-Sesha. SrI cinmayAnanda gives a different anubhavam of His being the “ solesupport of the earth”. He interprets earth here to refer to matter in general,and observes that bhagavAn is the very essence from which matter has come toexpress itself, both its gross and subtle forms. He continues: “Geographically,the earth is supported by water, water by atmospheric air, and air by space. Ifone enquires further and questions what supports space, we know that space is aconcept which we experience by our intellect. All experiences of the intellectare established in Consciousness, and therefore, the ultimate support for theentire world is the Supreme nArAyaNa”, and so He is dharAdharah. The dharma cakram writer explains bhagavAn’s “support of the earth”,starting from the pa’nca bhUta-s in their sUkshma form, and how they combinetogether to evolve into their sthUla forms. His “support of the earth” isreally a part of His support of the pa’nca bhUta-s. He is the Creator ofeverything, and He is the ultimate Abode of everything, and so He is dharAdharah.Several are the concepts that are hidden in this mantra “om dharAdharAya namah”.Just like all the other mantra-s (and remember that each nAma is a mantra), thisis another very potent mantra.